The Remnant Relies Upon & rests in A Righteousness That Comes by faith. 20But who are you, O man, to answer (forcefully declare one’s personal conviction in opposition to) back to God? Let’s try to enter into God’s mindset regarding Rom 19-23 in relation to the context of His Word by taking this True/False quiz. Matthew 18:14 In the same way your Father in heaven is not willing that any of these little ones should perish. Numbers 14:18. The Lord is long-suffering and of great mercy forgiving iniquity and transgression, and by no means clearing the guilty. Hebrews used “goim” or nations, for all who had not received the true faith, and were not circumcised. Christians translated goim by the Latin “gentes”, and imitated the Jews in giving the name “gentiles” to all nations who were not Jews nor Christians. In civil affairs, the denomination was given to all nations who were not Romans. Rom 9: 27-27And Isaiah cries out concerning Israel: “Though the number of the sons of Israel be as the sand of the sea, only a remnant (NW 1828 Dict. = “Residue; that which is left after the separation, removal or destruction of a part) of them will be saved. Gen 18: 22-32 Abraham Interceded for Sodom, which God said he would not destroy if there were only 10 of the elect abiding there. Rom 9:8 it is not the children of the flesh (human kindred) who are the children of God, but the children of the promise (those who put faith in Christ’s Finished Work on The Cross) are counted (accredited, imputed, regarded by God) as offspring (are adopted as the seed of Abraham — heirs of God’s promise through him and the patriarchs). The Remnant are the true salt and light Christians (Matt 5:13, Lk 14:34, Mk 9:50). Rom 9:30-33 The true remnant understands the difference between ceremonial law, which officially ended in AD 33 when Christ died, and the veil in the temple was torn, signifying man’s sin was atoned, and we could enter the holy of holies (Heb 4:16). 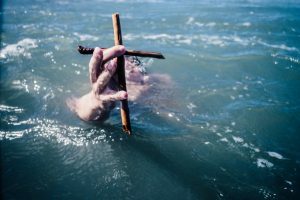 The Remnant understanding the CEREMONIAL law engaged one in a series of actions that symbolized our need of salvation by putting faith in the coming Messiah, the Lord Jesus Christ. Note Rom 7:25 makes a distinction between the “mind of Christ and the flesh. The mind of Christ acts consistently with God’s eternal, moral law. that make up the remnant resting in Faith. Rom 9:30-33 The Remnant Relies Upon And Rests In A Righteousness that comes by faith. The Remnant is settled in Christ, enjoying the Heb 4:9 Sabbath rest of God. Rest = the blessed rest from toils and troubles looked for in the age to come by the true worshippers of God and true Christians, who trust Christ for salvation now and in the future. 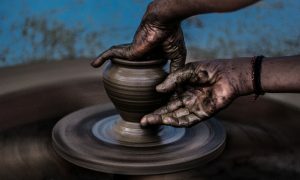 The Potter Shapes To Build Up or Break Down Nations, but we can repent and shape our destiny. 1Jeremiah 18: 1-11 1The word that came to Jeremiah from the LORD: 2“Arise, and go down to the potter’s house, and there I will let you hear my words.” 3So I went down to the potter’s house, and there he was working at his wheel. 4And the vessel he was making of clay was spoiled in the potter’s hand, and he reworked it into another vessel, as it seemed good to the potter to do. Let’s Pray that God ReAwakens, ReInvigorates & ReEstablishes Us in Our Calls In Christ!